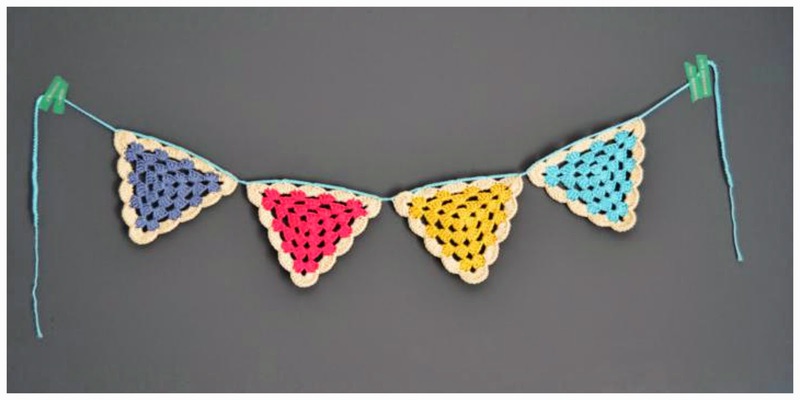 For a long time I have not done crocheted garlands, right? Well, for this reason ... double ration for today! I have made one shawl (you can see here ). Still, I wanted to make a gift for the kindergarten. 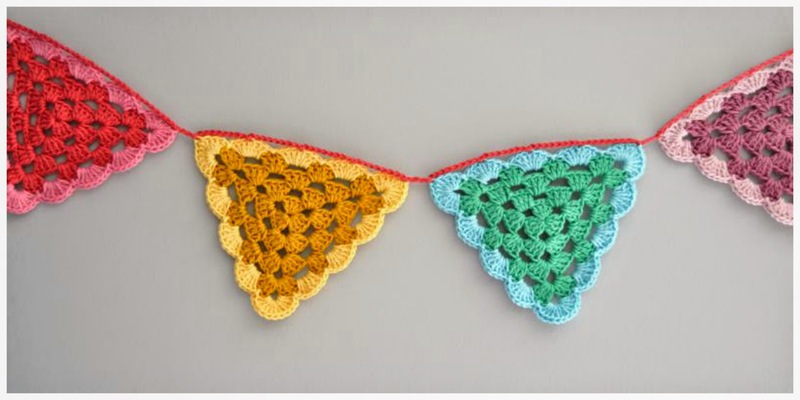 And I think the crochet garlands are so nice! Look, look! Here they are! with 4mm crochet hook and yarn DROPS PARIS. I love this yarn. I loooove it! 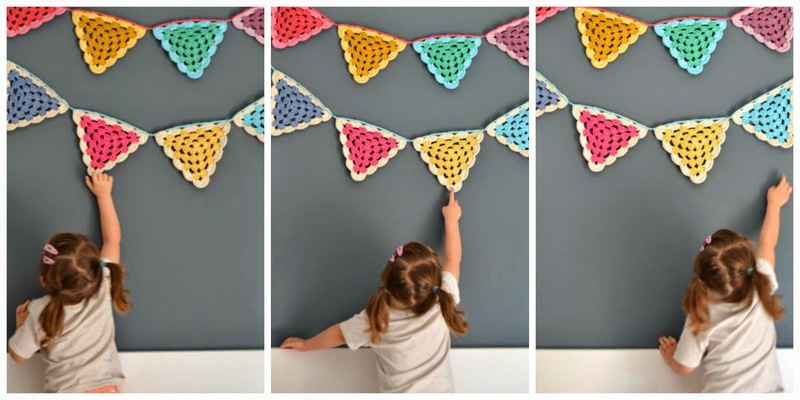 four for each crocheted garland. An other work that I have finished in waves! For a garland with white waves and for the other with colored waves. How do you like to you? how you like more? and gives it a vintage style. With waves of color look more youthful. As I did not decide, I made one out of every! You know who person they like these garlands? I've seen that would be perfect for the Carlota's room! To make the photo shoot I hold them with washi tape. 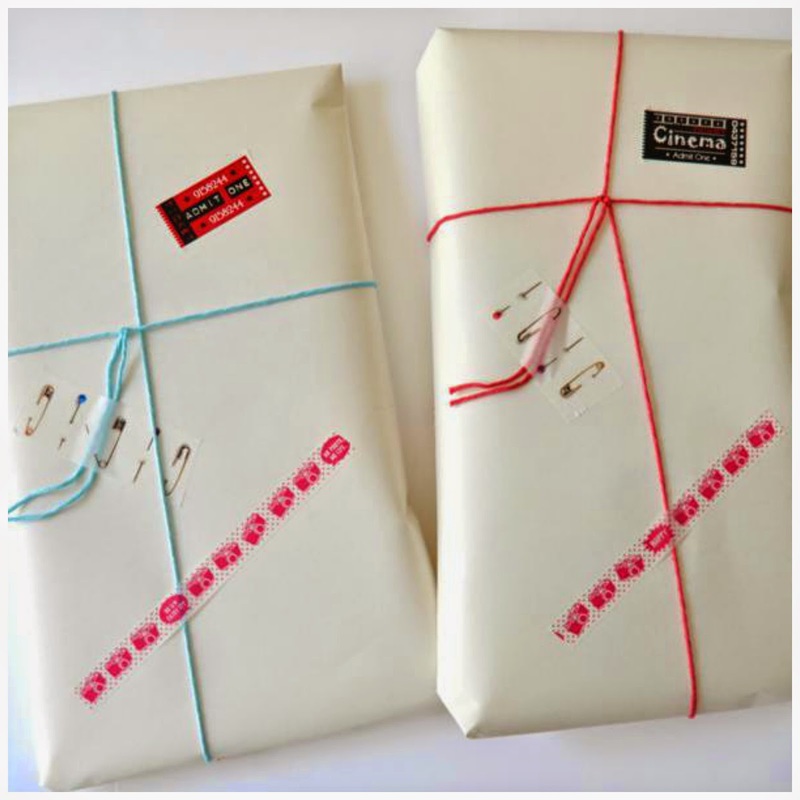 Carlota loves so much washi tape ... much! In this blog you will find many more patterns and tutorials. are already assigned in a place to kindergarten. on the wall where are the photos the class graduation photographs. What a great privilege! hahahahaha! who have accompanied Carlota in the first year. Carlota has always gone and returned very happy to the kindergarten. educators, and staff working in the kindergarten. both intellectual and personal level. Cristina!!! Ostres noia, em semblen espectaculars!! M'agraden tant!!! M'encanten moooolt els colors que has fet servir, i m'encanta encara més la idea de fer el contorn com l'has fet, amb blanc i a amb color més pàlid... queden precioses. Felicitats!!! petons! 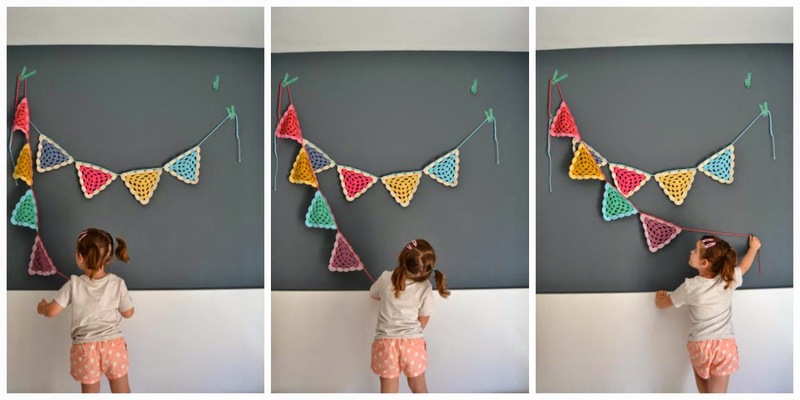 Your crochet garlands are absolutely beautiful, Cristina! The kindergarten children (and their teachers!) will all love them! These are beautiful! I cannot decode which I like more - the light edging or the colourful ones, but they work and I really like the daintyness the edging brings to the garland. Lucky teacher, and yes, something like this always looks great in a child's bedroom too! Delightful garlands, the colours of the yarn are beautiful. Què bonic TOT el que fas. Et seguia en "silenci"... Enhorabona per tot el que fas, que és preciós. M'agrada molt com combines els colors... a mi em costa moltíssim. Me encanta la guirnalda! Me gustan mucho los colores que has escogido, seguro que en la guarde se quedaron encantados.